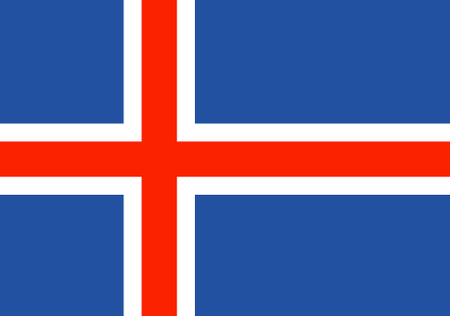 Iceland is a rocky, often frozen island nation located in the northern Atlantic Ocean. 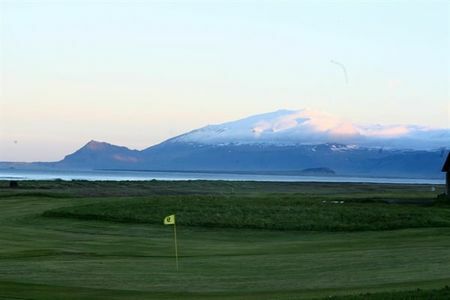 Settled by Scandinavian seafarers over a thousand years ago, Iceland is a world apart, with its eerie and haunting glaciers, geothermal springs and volcanoes. 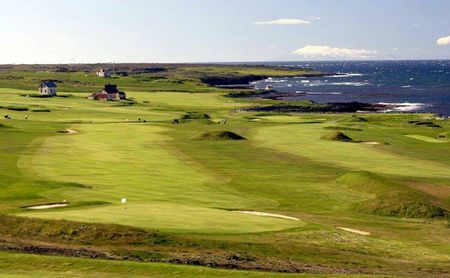 Tourists come to see these natural wonders, to go whale-watching and to enjoy some of the best fresh fish to be found anywhere. 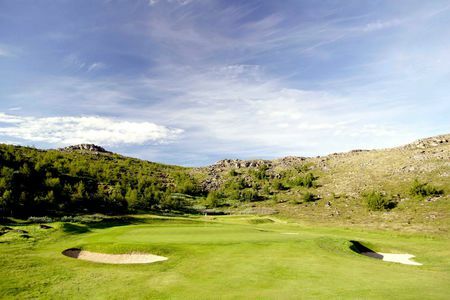 Sports are a big part of the culture here, with soccer and handball among the most popular; the national handball team is one of the best in the world. 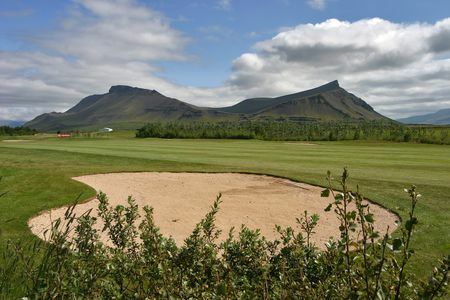 Nor is golf neglected; in fact, Iceland has the largest number of courses per capita of any country: 65 currently serve 15,000 registered golfers and twice that number of unregistered players (out of a population of around 330,000), including 15 full-sized and 50 9-holers. 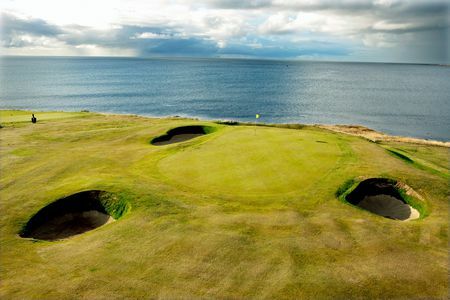 This level of popularity is the more remarkable given that it is only possible to play for about five months out of the year. 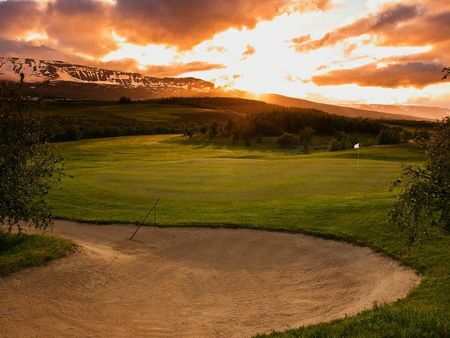 On the other hand, in high summer, the sun never sets. 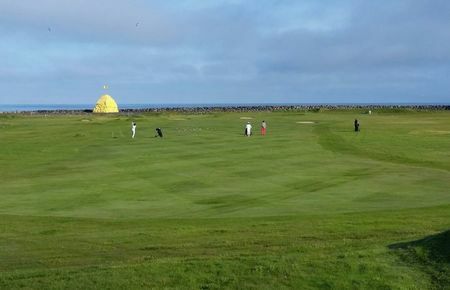 Iceland had the honor of hosting the 2015 Small States of Europe Olympic Games when golf was for the first time one of the events. 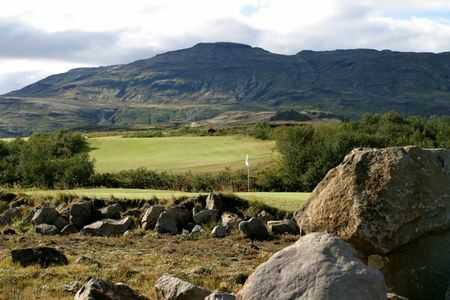 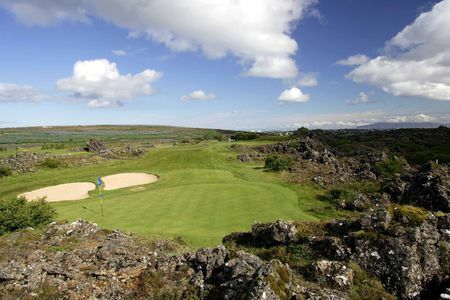 That competition was held at Korpa Golf Club, which is located close to the capital city of Reykjavik. 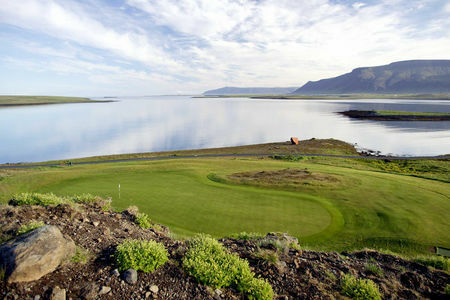 The premier Icelandic course, however, is Keilir Golf Course, a links layout set right on the ocean. 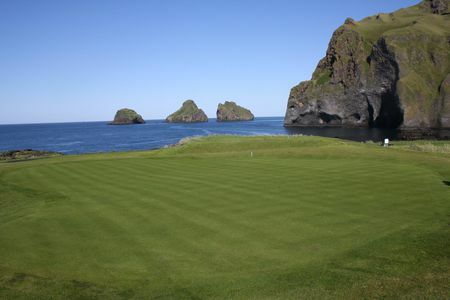 Here lava forms the backdrop for the front 9; the holes going home play along a spit of land near the mouth of Hafnafjördur Harbor, offering a superb vista of one of the island's iconic glaciers. 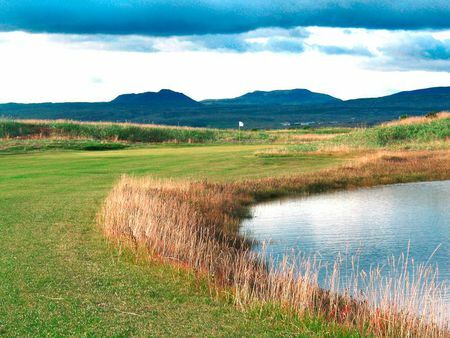 From courses like this to a passionate golfing public, Iceland makes for a great destination golf experience.